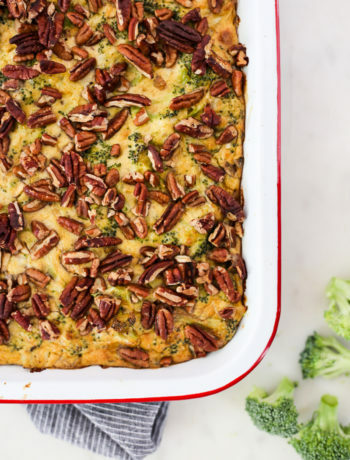 I’ve got the ultimate treat for you to whip up in the oven during the holidays. 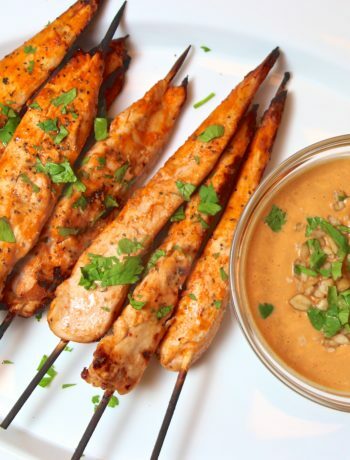 A great finger food addition to your spread of treats that your family and friends can just grab and snack on as they socialize and catch up! 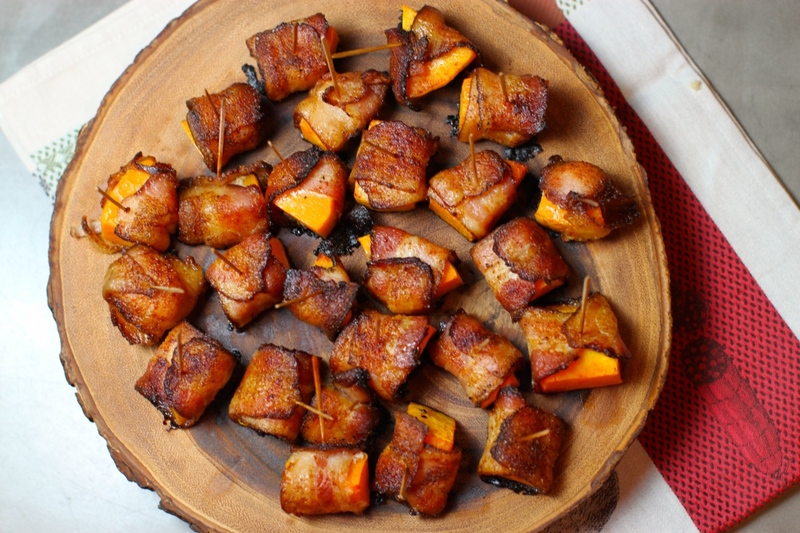 These bites also make for a yummy tailgate dish. 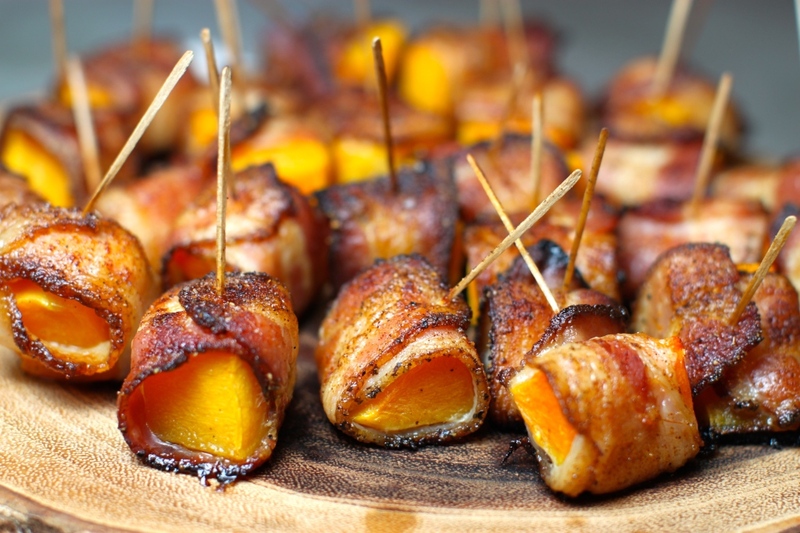 Seriously, they are delicious (and addictive), the perfect combo of sweet and savory. 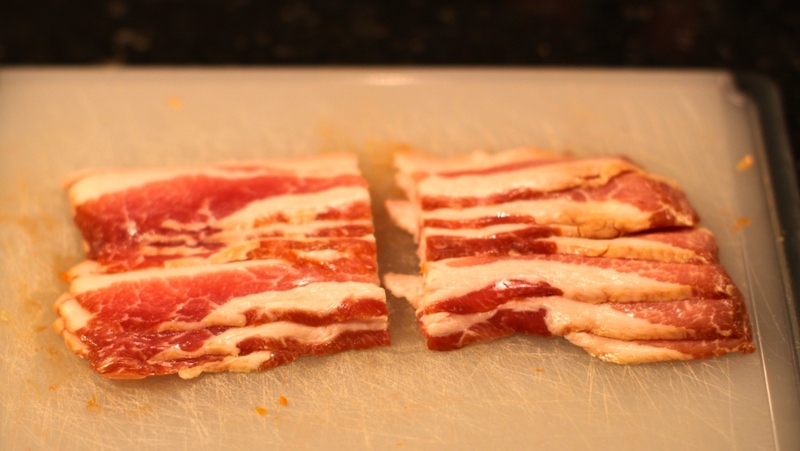 Also, I recommend using Pederson’s paleo-friendly bacon, it’s a staple in my fridge because it is nitrate free! I buy mine at Central Market or Whole Foods. 2. Soak a handful of toothpicks in a small bowl full a water. This prevents them from burning in the oven. 3. Cut off both ends of the squash. Peel the squash with a vegetable peeler and cut in half. Now take the seeds out with a spoon. Cut squash into small cubes. 4. Cut bacon right down the middle, in half. 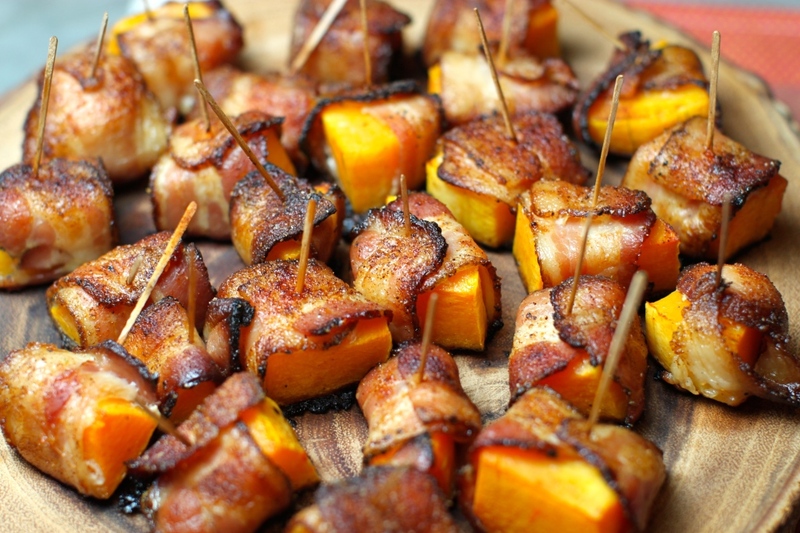 Now bacon wrap all of your butternut squash and lightly pierce with toothpick and place on baking sheet. 5. 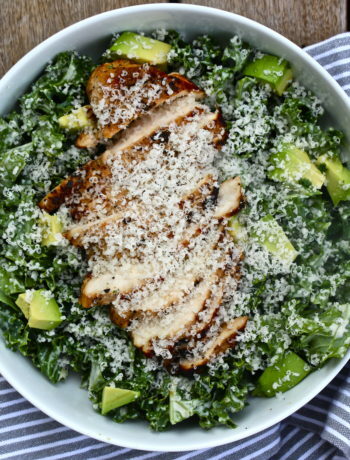 In a small bowl, combine your garlic salt and chili powder, toss. 6. 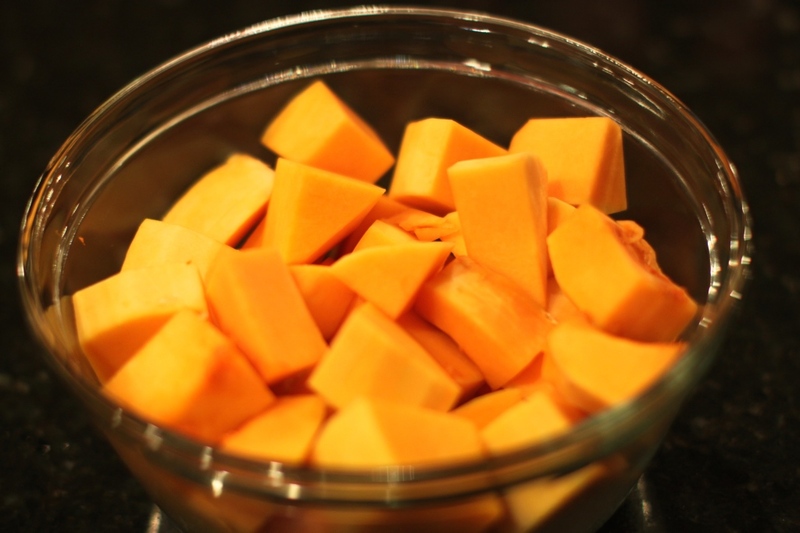 Sprinkle garlic salt and chili powder blend evenly among the butternut squash. SERVE AND ENJOY! HAPPY HOLIDAYS, Y’ALL!